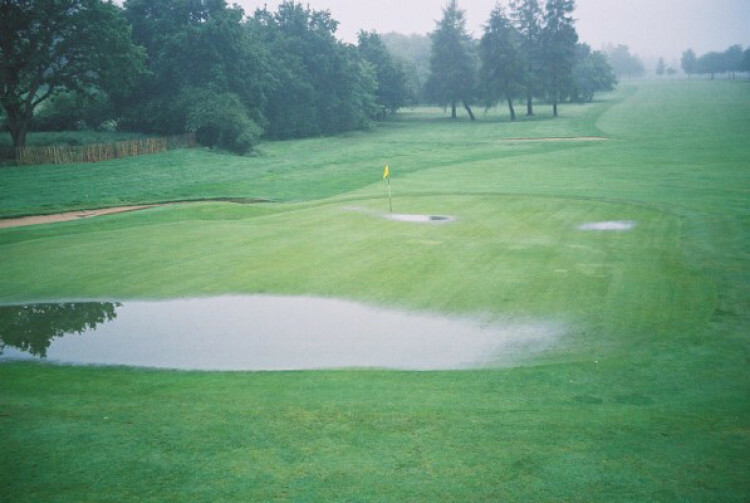 Ponding on long-established greens is commonplace in very wet weather. Not only does it mean a switch to temporary greens in the short term but the fine grasses suffer in the longer term. 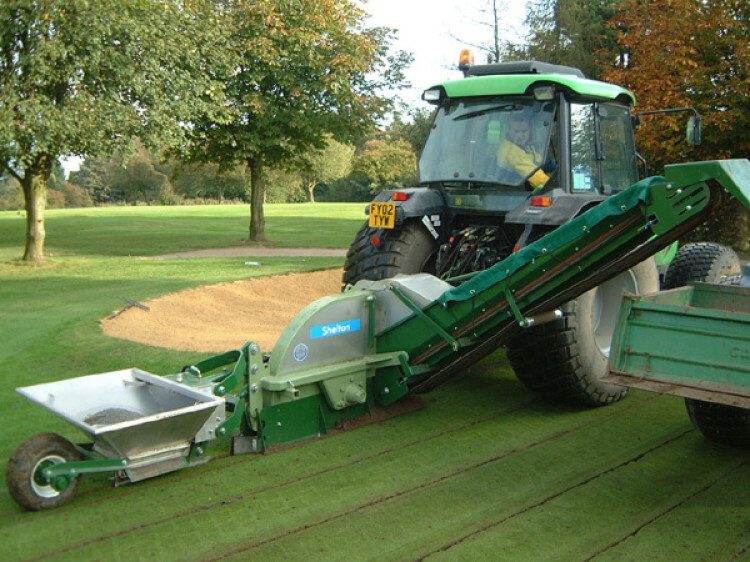 One answer is to remake the green to USGA specification but it is expensive - initial cost in excess of £20,000 and substantial ongoing annual costs. 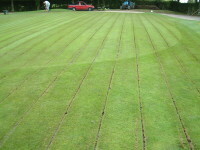 Shelton Sportsturf Drainage Solutions has three low-cost techniques to drain established greens. Installation causes minimum disruption and enables one to 'drain today and play tomorrow'. Shelton gravel band drainage is a trenchless system of bands of gravel or Lytag (pulverised fuel ash) 25mm wide, usually 250mm deep and spaced 400mm apart. Cost per green is £x*. The gravel banding machine is carried on the 3-point linkage of a 35-40 hp tractor fitted with wide low-ground-pressure grassland tyres. A vibrating stainless steel tine opens a channel into which the gravel or Lytag is fed in immediately - hence it is a one-pass operation. It is best undertaken in moist or wet soils; in autumn, winter or early spring in most parts of the country. It is advisable to allow for 2-3 top dressings in the following months to obtain optimum results. Shelton System 25Ô is a system of micro trenches, dimensions and spacings as above. The soil is excavated and simultaneously replaced with gravel or Lytag. Cost per green is £2x*. 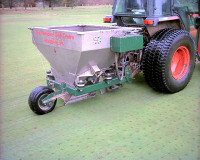 Some greenkeepers prefer this technique because the soil is excavated and a free draining medium inserted. It is an exceptionally neat operation best carried out when some moisture is present in the soil but it should not be over-wet! Technique number three is to install Shelton System 25Ô with a 25mm diameter land drainage pipe at the bottom of each micro trench. Cost per green is £3x*. Very similar to the above technique but the trenches are cut about 30mm wide. Optimum depth is 250mm to 450mm. The incorporation of land drainage pipes gives exceptionally fast drainage. 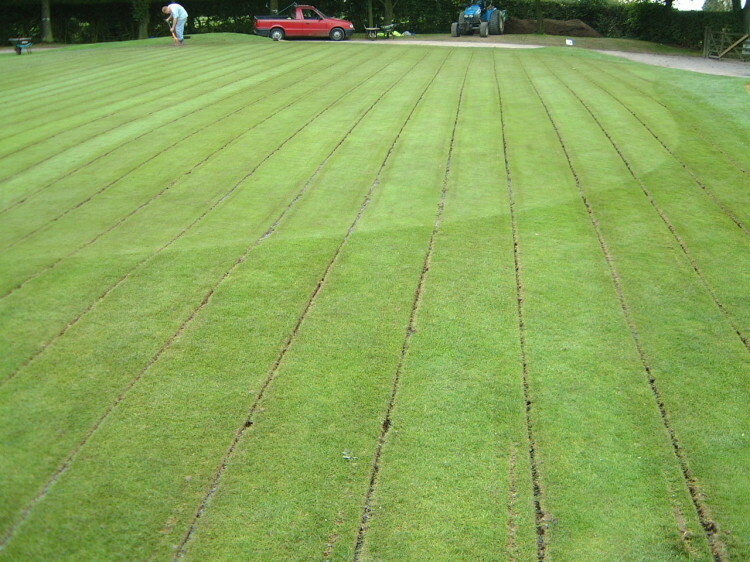 In all cases installation takes ½ -1 day per green. * Cost wise £x can vary depending on size of green and how the work is undertaken; usually starting around £600 and rising to £800-£900. suppliers to the UK land drainage industry; your enquiries are invited. 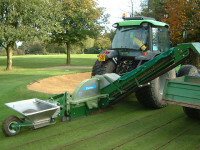 Shelton Sportsturf Drainage Solutions has equipment for hire, and for hire with operator. It has a contracting division, and machine sales also. One way or another we can speedily solve the drainage problems of your established greens; we have done thousands already!